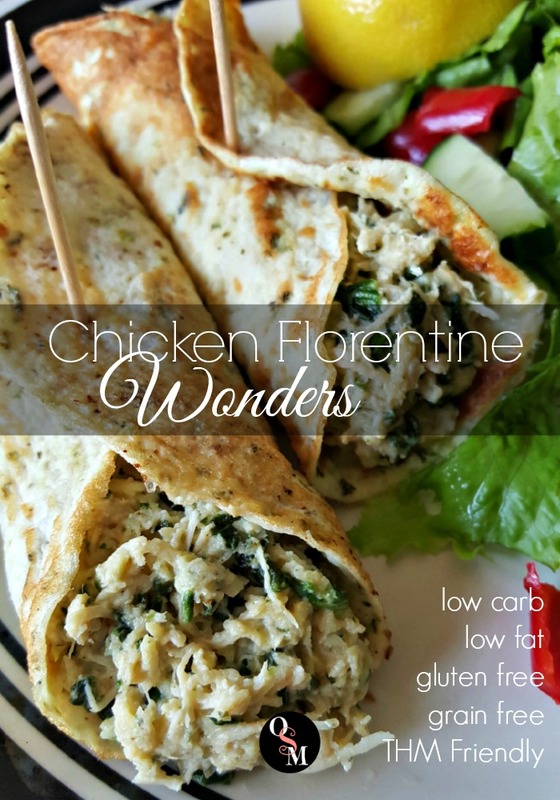 I’ve taken the classic flavors of Chicken Florentine and trimmed them down to make a delicious and satisfying Trim Healthy Mama Fuel Pull recipe! This easy low carb and low fat Chicken Florentine recipe will leave you satisfied. Sometimes, I go out into the kitchen and find zero inspiration. It’s especially aggravating when I’m hungry and need to eat like an hour ago. Then there’s times when I’m just on a roll, banging out recipes left and right. Like this past week or so…I’ve posted a delicious Creamy Coconut, Lemon, and Turmeric Shake, an Easy 3 Step Guacamole Recipe, AND I have a few more tasty posts in the process of being crafted. 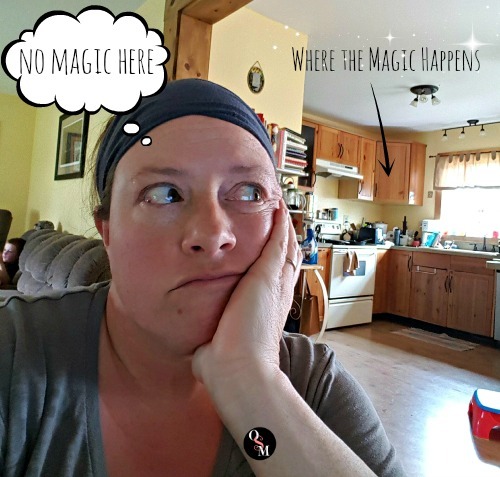 Because let me tell you, blogging is definitely a craft…an artform…and I am meticulous about it, which is why it takes me forEVer sometimes to write a post. But every now and then, I find my groove and start firing on all pistons. It’s nice. “Something With Chicken” is on my menu, but what? Vagueness is often a component of my menu planning. I know I’ve got this protein, those veggies, some seasonings…I’ll start throwing things together until it tastes good. I’m a dump cook. That’s how I roll. Since I’m in the groove, I remembered to get the chicken breasts out of the freezer and into the crock pot in a timely fashion. I sprinkled some salt, pepper, minced onions and garlic powder on them, added a bit of water, and went out to weed stuff. I had no idea what I was going to make with said chicken. But I had a few hours to figure it out. 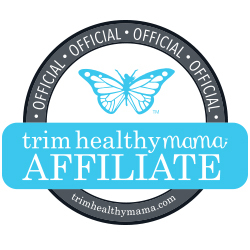 Are you a Trim Healthy Mama in a “fuel rut”? 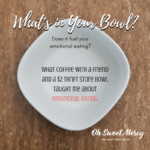 It happens to even the most dedicated THMs…you just get in a pattern of eating one style of meals, usually because it’s your favorite. My rut of choice is always S. Love me some S…in all its glorious forms. Light. Regular. Heavy. Deep. Just give me those yummy, nourishing fats. Oh, I love me some carbs, believe me. 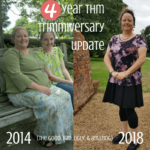 But one thing I discovered on the Trim Healthy Mama plan is that I’m not as much of a carboholic as I thought – if I can’t have those carbs deep fried and smothered in some kind of decadence…like cheese sauce…or buttah…they just aren’t that appealing. I’d rather not eat them! I’ve been in another S fuel rut lately, and needed to break out of it. Don’t ignore the Fuel Pull, mamas! A Fuel Pull style meal or snack can sometimes be a big let down. I mean, practically no fat and no carbs? Where’s the fun in that? The secret to a satisfying Fuel Pull is making it flavorful and nutritious. When your body is nourished, you may find that you just feel satisfied more often. 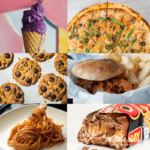 And when your tongue is tickled with flavors, your mind will say “hey, this is rather satisfying…” and not beg for donuts or something else that is totally not on plan, threatening to derail the hard work you’ve been doing. If you want to stick to a Fuel Pull, cook a FP muffin recipe in a donut maker or bake in a mini donut pan. Thanks, Briana Thomas for that great tip! Dark green veggies are what your body needs. Any time you can get dark, leafy green veggies into your meals, your body will thank you. Spinach, for example, contains quite a lot of iron. Dark green veggies also have chlorophyll, and both of those are great for your blood. Chicken Florentine ingredients are rich and decadent. It would be an absolutely fabulous S meal (just use an on-plan white sauce and skip the pasta). But for a Fuel Pull, that is a no-no. Time to lighten it up. Wonder Wraps are a THMs best friend! If you haven’t yet added Wonder Wraps to your THM meals, you really should. 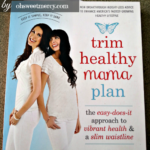 You can find the recipe in the new Trim Healthy Mama Cookbook on page 204. Wonder Wraps utilize the wonders of psyllium husk to help create a flexible wrap that can also be layered like lasagna noodles. Just see page 146 in the cookbook for Light and Luscious Enchilada Wonder Casserole (another tasty Fuel Pull) and page 148 for Wonder-Wrap-Ful Lasagna (a lovely low carb S). 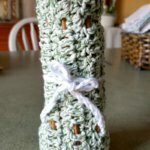 For this recipe, I adapted a similar recipe that I found on Pinterest. 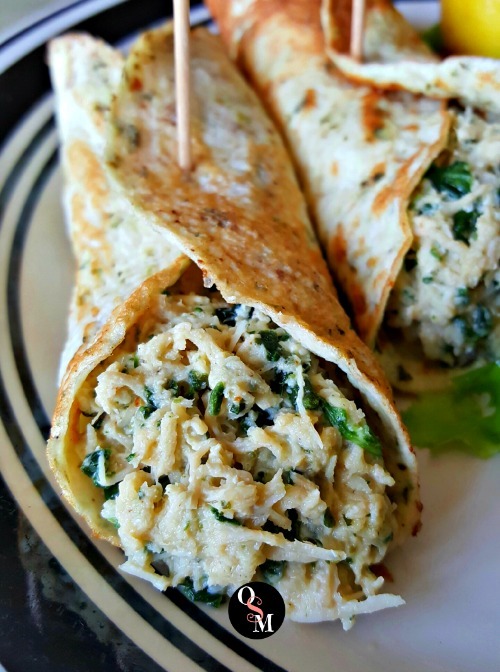 These wonderful wraps have practically no carbs, so you can use them for any style meal. 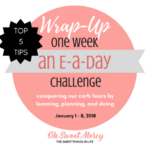 They are perfect for S or FP, and even E, if you want to get your carbs from another source other than a regular, on plan wrap. I took the components of Chicken Florentine and trimmed them down, and these Chicken Florentine Wonders are the delicious result. Trim Healthy Mamas, here’s how this tasty recipe will fit into your healthy eating plan. Want to save the majority of your fat grams for a side dish or salad dressing? Use all nonfat Greek yogurt instead of part sour cream. The total fat content of this recipe will just be 1.5 grams, leaving you 3.5 grams for a light drizzle of oil on your salad or a side dish with no more than that amount of fat. Want all your available fat grams in the dish itself? Use part sour cream and part nonfat Greek yogurt. You’ll have 4 grams of fat in the dish, with a little wiggle room. Dress a leafy green salad with fresh lemon juice and sprinkle a teaspoon of parmesan cheese on your salad. That lemon juice will also help your body absorb the iron in your leafy greens better, too. I opted for #2 (but no parmesan on my salad). Two hours later, I was still satisfied. Many times after eating a Fuel Pull, we can start feeling hungry again. This is totally normal, and a small Fuel Pull snack is fine, or if you know what style your next meal will be, a snack in the same style works too. A Fuel Pull that leaves me satisfied and functioning like a well-oiled machine? Yes, please! We have a winner folks! These Chicken Florentine Wonders were so flavorful I did not miss the decadent cream and butter. You want to be in a groove, NOT a rut. A groove is a good thing. You’re rocking it. A rut, not so much. If you’ve been in a Fuel Rut, use this tasty Fuel Pull recipe to pull you out and into your new THM groove. Let’s make some Chicken Florentine Wonders! I've taken the components of a decadent Chicken Florentine and trimmed them down to fit the Trim Healthy Mama Fuel Pull guidelines. You could also easily make this an S by using all sour cream and adding some butter. Whisk together ingredients in a small bowl. Let cook until basically cooked through, then flip and lightly brown the other side. Alternatively, combine all ingredients in a crock pot and cook on low for an hour and a half or until warm and bubbly...depending on how your crock pot cooks. Use all nonfat Greek yogurt if you want to save some fat grams for a salad dressing or side, you'll have 3.5 to work with. Or, use half yogurt, half regular sour cream and a nonfat side, such as a salad dressed with lemon juice. Don’t forget to pin this Chicken Florentine Wonders recipe to your favorite Pinterest boards! OMG girlfriend these rock and r super easy easy….they were little thicker than I thought they would be which made me very happy because they were very easy to spread. I made them on my griddle @ 275 and took my offset spatula and just kept spreading spreading spreading….though I did make a mistake and had too much seasoning the next time I’ll pull it back so I can put my flavorings on it. I also put a big old bunch of it on my griddle and spread it out thick and let it cook and turned it with my pizza Turner and let it cook some more and it made the perfect pizza crust… I have an idea I’m gonna make with it and I’ll share it with you when I do and I hope you like it . 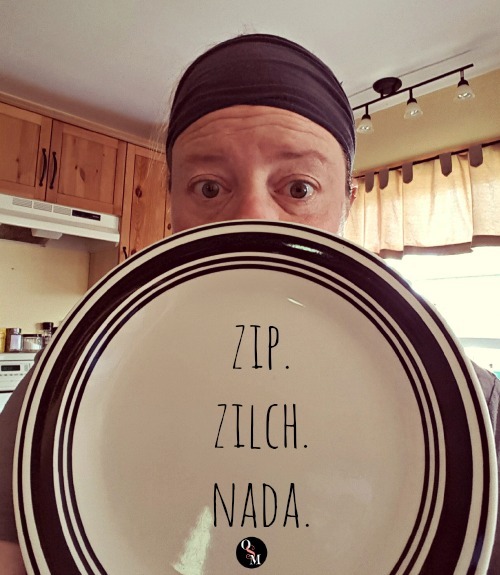 I know you called them wonders…but the word easy should be in the title because wow so I would hug you right now if I could….on the menu Southwest wraps and a few other things. ?❤️????????? I use Organic India brand, and the container says “Whole Husk Psyllium”. I m on a low fiber diet, so I can’t follow THM to a “T”(no pun intended, so I am going to try the filling on a small whole grain tortilla or pita on my husband’s panin grill. Sounds delicious! I love spinach! As long as I am cooking the mixture, I might sauté a few onions and fresh garlic instead of the powder! Thanks for a wonderful filling and an inspiring blog. I totally understand! One thing about THM is that you can make it your own – even if you have restrictions this plan is still do-able. Fresh onions and garlic are wonderful, and when I’m not pressed for time I prefer to use those too. I’m certain it will make the filling even better, since fresh is always best! Thanks for stopping by and for your kind comment, it’s much appreciated! These are incredible!!!!! Thank you so much for sharing!! If you don’t have yogurt, could you sub non fat cottage cheese? I think you could IF you pureed it well first. Otherwise you’d have chunks of cottage cheese in it and it wouldn’t really coat the chicken like a sauce as well. You could also use sour cream. Over the whole recipe it shouldn’t change the fat content much, if at all.